If you are a writer, do you have a tribe? I do. I actually have a few and each of them is important to me. So, what do I mean by a tribe? Well, there are the two writing groups that I am a member of – one national and that tribe is almost all online and is useful for contests, helpful advice and tips, and some good critiquing; the other group is local and it’s great for connecting with other writers and learning new aspects of the writing craft on a monthly basis. Then there’s the critique group that meets every other Tuesday and that’s where I get lots of good feedback on my writing. But the tribe closest to my heart is a small group that I kind of grew on my own. I just shared with a couple of friends that I was writing and they asked questions and were very interested in writing as well. As we talked, we decided it would be a great idea to form our own group similar to C.S. Lewis’s Inklings group, and so we did. We meet once a week to just write, although we often share ideas, brainstorm together or ask each other’s opinions of something we’ve written. The most fun thing that we do, though, is, we pull an all-nighter once or twice a year. That means we get together on a Friday evening and spend the entire night writing or doing writing related things. This past Friday night we did that and I prepared and scheduled four blog posts and revised and edited four chapters of my WIP, pretty much starting one of those chapters all over. 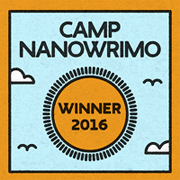 I wrote over 1,000 new words on my WIP. Now, for a great writing resource: if you do not subscribe to Writer’s Digest Magazine, I highly recommend it. I recently received my February 2017 issue and there are some great articles on ways to “Get Organized, Be Productive”. There are a couple of fascinating articles about some really good authors and so much more. Good stuff, right? Every issue is packed with stuff like this! Yes, this is another Bonus Post. As you know, I ordinarily only write one post a day five days a week, Monday through Friday. However, once in a while, when I deem it necessary, I add a bonus post and write a second post on one of the days. Now, I will warn you, none of her writing is Christian and you will encounter some language you may find offensive and, of course, in the Niles Gule stories, some blood and guts. But Melinda weaves some good tales, creates fascinating worlds and characters that grab your attention and make you like them and care about them pretty much from the moment you meet them. My friend Laura at Caffeinated Fiction found this neat little idea on Tessa’s blog and encouraged me to participate, so I decided I will participate here every other week on a Monday, since I already have specific things I post each day. So now Mondays will be one Monday I post something about writing or my personal writing journey and the next Monday I will post a Coffee Shop Chat. I hope some of you will joins us in the Coffee Shop Chats as well. (I’m not a coffee drinker, so I’ll be drinking tea). What’s a Coffee Shop Chat? There are a ton of writers out there in Blog-Land, and sometimes it’s just hard to connect. We are so focused on writing our next blogpost/ working/ schooling/ dealing with family stuff – we forget how much fun it can be to just sit and talk! Coffee Shop Chats are one way you can connect with other writers, readers, bloggers, whoever! It’s a time to just share, laugh and drink a cup of coffee or tea (or two.) You can share exciting events from the week, the latest book that’s inspired you, a great movie you’d like to recommend, or even share prayer requests. All the things you would share if we were sitting in a coffee shop together, spending an hour away from the cares of the world. You can post whatever, whenever you like! Don’t forget to add your ‘link-up’ to the bottom of the original post on my friend Tessa’s blog (listed above). That way we can all find one another and can respond to one another’s blog posts. Click here to go directly to her blog and scroll down to see the Guidelines section and the How to Post section, once you’re ready to participate! Don’t forget to comment on another blogger’s posts first (mine counts! )and to answer and include CONVO STARTERS! Ready? Ok, let’s get together! I am a HUGE Toby Mac fan and I LOVE his latest album, “This is Not a Test”. Why do I love Toby Mac and his music? Because Toby is the real deal. He doesn’t just talk the talk, he walks the walk. He donates to charities, reaches out to communities, spreads God’s word through his music and in his concerts and helps other Christian artists reach their goals. And there are many times that something that is said in our Sunday school class or our Pastor’s sermons that brings a Toby Mac song to my mind because it applies. I started school with my youngest son. We are homeschoolers and we finished our 2015-2016 school year at the end of April and had off the months of May and June and the week of the 4th of July, and because we like extra time off at the Christmas holiday time, we start school while summer is still going on. This week we had one day of Physical Education and Science and three days of History, Math and English Literature. We are studying the Little House on the Prairie series by Laura Ingalls Wilder for history. 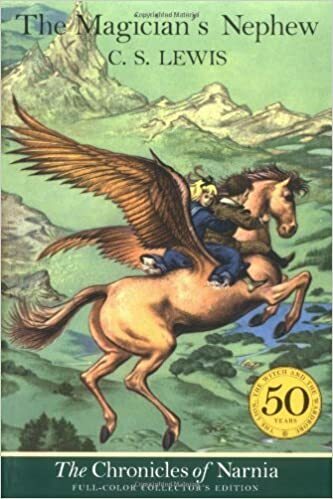 We are studying The Chronicles of Narnia for English Literature. My son is doing lapbooks on these books. He is artistically inclined and loves doing lapbooking and notebooking. I had to laugh the first day we started these books this week. 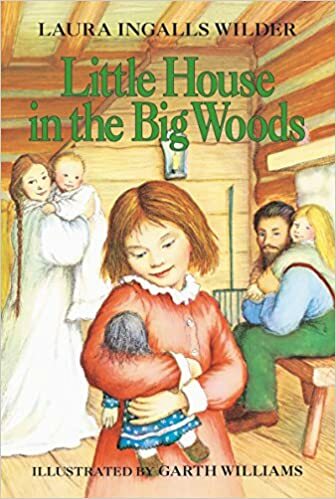 I read from Little House in the Big Woods first and my son said, “This is a good book.” Then I sent him to complete two math sheets. After math, I read from The Magician’s Nephew and when I stopped, my son said, “No, you can’t stop. You have to read more!” Yes, my son could read these books on his own, but one thing my boys and I enjoy is for me to read some of the main subject books out loud to them. Do you write more during the summer or take a break? I write more during the summer because I have more time for writing. 2. Do you prefer summer or fall? I prefer fall. Here in Pennsylvania, we get quite a lot of temperatures in the upper 80s to mid 90s that are accompanied by high humidity making the temperature feel ten degrees or more than the thermometer reports. I much prefer the comfortable temperatures of fall. What’s your favorite hot beverage and your favorite cold beverage? If you could have lunch with any author (alive or passed), who would it be and why? What is your favorite childhood memory related to reading or writing? I have never done this before, but I really feel like I need to do this. I want to pay tribute to two people who mean a lot to me because of their support and/or contributions to my writing life. First of all, my husband. I just have to say how much I appreciate the way that he shows his support for my writing. How does he do this? He never complains about my attending all of the monthly LCW (Lancaster Christian Writers) meetings that I want to attend, which is all of them, (smile). In reality, I usually end up having to miss one or two because of family things that come up that take priority. He also never complains when I find a free or inexpensive one-day writing event that I want to attend, and he doesn’t mind when I leave two, sometimes three evenings a week for two or three hours to get together with other writers for critique group or to write, brainstorm and encourage each other along our writing paths. He doesn’t complain that I spend so much time writing and participating in writing related things and yet am still not adding to the family income. He understands that it is a long process. I am blessed to have a husband who quietly supports me and I greatly appreciate him. The second person I want to pay tribute to is a fellow writer who has become a very dear friend and is moving to the other side of the country, Laura Zimmerman. I met her at LCW but our bond of friendship began when she and I both attended a one day writing workshop in the private home of a complete stranger. We were surrounded by strangers, and I think, because we recognized each other’s faces and knew we were both part of LCW, we both felt more comfortable and we sat together for the workshop and had some time to talk a bit and start to really get to know each other. Then when I started the weekly writing group for those of us homeschool moms who often struggle with finding time to write without interruptions in our own homes, Laura soon became a regular part of that writing group, Scribes Oasis. She has rarely missed a night of Scribes. Laura also encouraged me in my ACFW (American Christian Fiction Writers) membership, as I was debating renewing my membership. You see, ACFW is a national organization, and though we have a local chapter, most of the best resources of ACFW happen online, and for the first entire year, I didn’t really get involved in that online community. Again, lack of time, as family takes priority. Laura encouraged me because she was involved in a couple of the things that the online ACFW community offered. So, I renewed my membership and have jumped into getting involved with both feet, and I’m loving it! Through all of these wonderful writing groups, Laura has also encouraged me in my writing. She has offered me great advice on my writing. She has gotten excited about stories I have written or am writing. She has helped me talk through some issues that came up in my writing that I wasn’t sure how to improve or write well. Laura is a little bit ahead of me in the writing world, as this year, she obtained an agent and she has submitted three story proposals to this agent already. He has already gone over the first one and told her what she needed to do to edit the story and improve it, and she literally pulled her story apart and put it back together again, and she believes it is better than the original. It broke my heart to see her go through that, but her positive attitude through the whole thing and the happiness she shared about the finished edited product was quite an inspiration to me. Also, the fact that she is a homeschool mom who still homeschools three children and still finds time to crank out stories, and now, devotionals and articles, amazes and inspires me and makes me believe that I can obtain those things too. I just need to keep working. So, when Laura leaves after Memorial Day weekend, I will miss her so much, but I am so thankful for today’s technology which will help us to be able to remain close friends who will still be able to encourage and help each other in our writing. Thanks Laura for your friendship and your encouragement and support in my writing. I know God has good things in store for you and your family wherever He leads you. How about you? Who is a big support and encouragement to you in your writing journey?